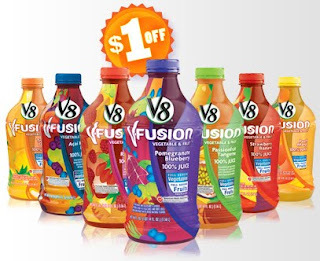 Coupon Mama: V8 $1 instead of $2 at BILO!!!! V8 $1 instead of $2 at BILO!!!! Go here http://tryv8.com/ print out $1 V-8 last day to pick them up at Bi-lo at 2/$4 so instead of $2 for one it is $1 for one!!! Print two from each computer click back 4 times after first one prints!! !